From the team at HPA, we would like to thank everyone who came out and joined us during our summer camps this year. At HPA, we offer a variety of programs that focus on the technicality of each individual player and how they can develop their soccer skills and abilities while having fun. This summer we had the opportunity to train with some amazing players throughout our summer camps. Our camps have been running for about three years now and we show no signs of stopping. This summer, we put together our first annual Female Summer Camp. 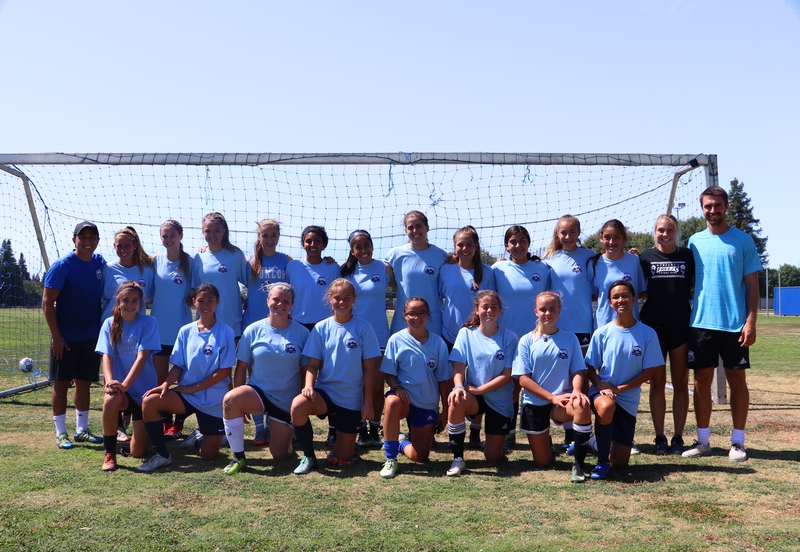 This camp was designed for High School Female players, and was coached by a combination of professional training coaches, college players and former/current professionals. The Female Camp consisted of a three-day camp that involves the development of physical, technical, tactical and psychological aspects that are important skills for the game. During this camp, we were able to work in small groups. This group of girls were exceptional and our team enjoyed working with them. Along with our Female Camp, we hosted our second annual Skills Camp. This camp was open to all player ages 6-13 and focused on developing soccer skills and game fundamentals for young players. This camp allowed our coaches to work with each player and help improve their 1v1 skills. Our team was excited to see the improvements that were made during the camp. Unfortunately, due to bad air quality, we decided it was best for the health of our players to cancel the Juniors Camp this summer. Instead, we do plan on hosting it during the fall. For those of you who have little ones from ages 4-6 and would like to participate in this camp, please make sure to connect with us via social media and subscribe to our newsletters to stay updated with our future events.